Marshall Maddox has just moved to Radio Road—and it sure is different than where he came from... While Marshall attempts to make friends and adjust to a new life, it is announced that there will be a community-wide carnival on Halloween night! With the event only a few weeks away, Marshall and his classmates set out to win the grand prize. As Halloween and the much-anticipated carnival approaches, Marshall experiences the holiday in a way he never has before. 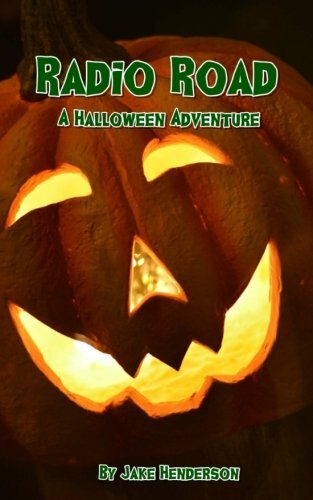 Jack o’ lanterns, costumes, and trick-or-treating are just some of the fun things Marshall discovers as he overcomes unanticipated obstacles and learns to embrace the spirit of the season. Jake Henderson is a graduate of Southwestern Oklahoma State University in Weatherford, OK, where he earned a BA in History Education. He also has a Master’s Degree in History Education from SWOSU, which he earned in 2004. He has taught US History, World History, AP Government, US Government, Geography, Oklahoma History, and Psychology at the High School level for more than ten years. He currently lives and teaches in Woodward, OK.